Our formative years are the most important years of our lives. That’s why ChildFund Ireland puts great emphasis on our Early Childhood Development (ECD) Programmes. Using a ‘home and centre’ based approach, ChildFund Ireland with Irish Aid funding has been able to make a real difference to families in Ugandan communities. The formative years of Early Childhood Development are a critical stage for the survival and development of a child. ECD lays a foundation for the wellbeing of the child through nurturing of the child’s potential for physical and social development. 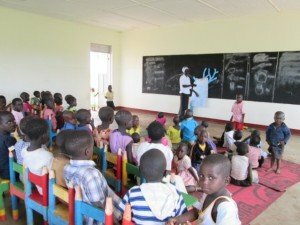 In Uganda, the government recognises the importance of ECD and supports laying the foundation for universal primary education. However, enormous challenges persist. In Kiryandongo District for instance, there is little attention given to pre-primary care. The high poverty levels of parents and the vulnerable situation of children in the district is compounded by the low public uptake of ECD services like immunization, birth registration, and school enrolment. 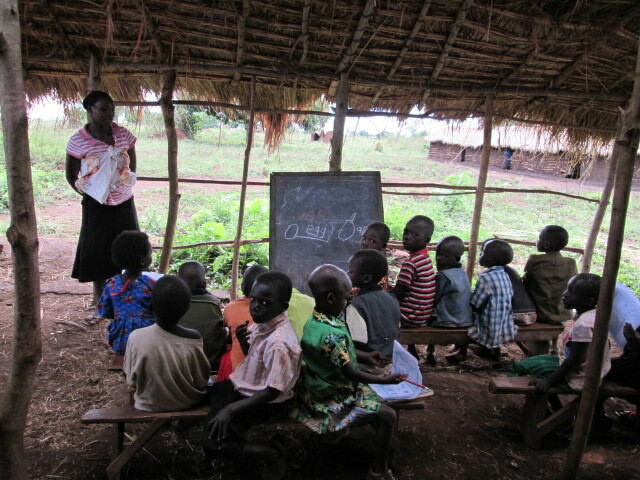 This can be attributed to low awareness of the communities on ECD and few existing ECD centres in the district. ChildFund Ireland’s Communities Caring for Children Programme (CCCP) focuses on improving ECD through home and centre based approaches. Using the home based approach, CCCP established and trained 90 Community Health activists who move from home to home sensitizing the masses on a range of ECD services like immunization, birth registration, nutrition and good parenting skills. In collaboration with the district health team, CCCP has been able to conduct monthly immunizations that have greatly improved on the immunization coverage for 0 – 5 year olds in the district. Out of the targeted 1500 children, 843 have fully been immunized by 2013 and as a result Kiryandongo district is one of the few districts classified by the Ministry of Health as being out of danger. CCCP also supports children to acquire birth registration certificates. At present over half of all births in South Asia and sub-Saharan Africa go unrecorded every year. Children with birth certificates are less vulnerable to trafficking and can be protected from child labour and child marriage. They also have easier access to health care, education and civil rights. The overall goal is to ensure that all children from 0 – 5 years old in the target areas are protected and supported to realize their rights and develop to their full potential. Through the centre based approach CCCP embarked and completed construction of two model ECD centres to create a safe learning environment for children. 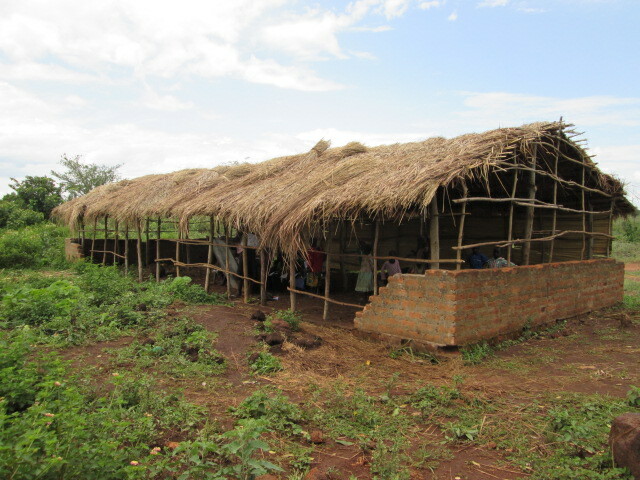 The well-resourced new structures have attracted a great number of children between 3 – 5 years old. Two years ago the parents in Dika Community in Kyankende Parish met to worriedly discuss where to enrol their little children for early childhood and development learning. The only existing nearby learning facility was Dika Primary school which was 7 kilometres away. As such, children had to wait to reach 6 years old before enrolling in school. 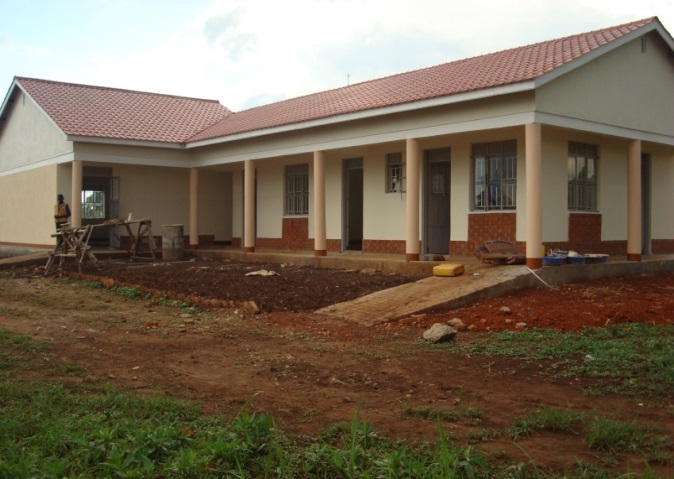 The completion of the Dika ECD centre has brought life to Dika Community. The children can now enjoy learning in a safe space where they can develop skills and qualities for primary education in their own area from an early age. 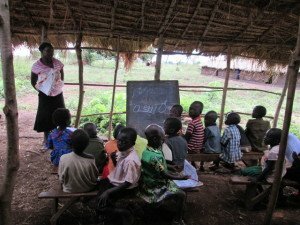 This inability to take advantage of educational opportunities has a major impact on children’s prospects in later life, and the economic and social development of their communities. You can help to build and equip more ECD centres like this one through our Direct Action campaign in Mozambique by giving as little at €10 a month – Please donate now to make this project happen!